Sigma50 A minimalist plate, a rich palette of colours. Christoph Behling Sigma60 and Sigma50 are designed by Christoph Behling. Lead Designer for TAG Heuer since 2004. Christoph is a designer with a vision to combine technology, infrastructure and aesthetics to create the bathroom of the future. Christoph has been designing Geberitâ&#x20AC;&#x2122;s collection of mechanical flush plates since 2007. Geometric forms define this kitchen by Colin Wright, who teamed precast concrete panels with cabinets in oak and white lacquer. To read more, turn to pages 14-17. Photography by Sue Stubbs. BATHROOM TRENDS In this issue of Bathroom Trends we explore connections to the outdoors and contemporary design solutions. Award-winning children’s bathrooms are also in the spotlight. Just as a bold and glitzy statement necklace can change the mood of a little black dress, so can a pop of bright colour enhance a neutral palette. Clear acrylic chairs are the best choice in this kitchen. With the feature Caesarstone tabletop and decorative screen, anything else would look too busy. Between the bedroom and bathroom of this master suite, there is an outdoor terrace, complete with hot tub and tropical plantings. All rights reserved. Trends is subject to copyright in its entirety. The contents may not be reproduced in any form, either in whole or in part, without written permission of the Publisher. No responsibility is accepted for unsolicited material, including transparencies. Trends also accepts no responsibility for loss of submitted manuscripts, photographs or artwork. Opinions expressed in Trends are those of the contributors, not necessarily those of Trends Publishing International Ltd. While every effort has been made to ensure the accuracy of the information in this publication, the Publisher assumes no responsibility for errors or omissions or for any consequences of reliance on this publication. ITALIAN DESIGN AT ITS BEST Since 1949 Italian manufacturer FULGOR has been designing and crafting exquisite home appliances. Now available in Australia to discerning homemakers who are building or renovating their dream kitchen. Take a look and be surprised! Preceding pages: Rich orange wood veneer balances jet black engineered stone in this open-plan kitchen by designer Jasmine McClelland. These colours are continued through the home, including in the entry foyer. The concrete floor was specified in a warm, grey tone and complements the predominating cabinet tones. These pages: The cantilevered island benchtop echoes the custom stainless steel rangehood designed by McClelland. Above: The polished benchtops and rangehood bounce light around the space. Cantilevering the bench was a way to play down the presence of the island. Right: With the cooktop set flush, and in the same colour, the perimeter benchtop could be mistaken for a long, deep window ledge. Horizontality is emphasised throughout the design. right. Its long, slender form is easy to overlook, and the reflective stainless steel picks up on its immediate surroundings. To address the functional requirements, practical elements are set on or near the perimeter, and all cabinets feature Blum Servo-Drive hardware. The project won the Kitchen and Bathroom Designers Institute Large Kitchen of the Year Award for 2013. Above: Perimeter cabinetry is to the left, and storage and appliances are to the right in the practical heart of the kitchen. The laundry at the end of the corridor is painted orange to tone with the cabinetry. know if these elements were concealing services and ducting, I chose to incorporate a wall cavity to allow for any potential obstacles, and the repositioning of all services.” The timber framing was clad with concrete panels that resemble a rendered concrete wall. This complements the new concrete floor, enhancing the minimalist, industrial look the owners wanted. the owners’ heavy, rustic wood dining table. The effect is enhanced by negative detailing on the Corian benchtop – an aluminium strip runs beneath the benchtop, so it appears to float. This also meant we could have recessed pulls on the doors to keep the look very streamlined.” Storage is maximised by the cabinetry and high-end hardware systems. Facing page and above: Geometric forms define this new kitchen designed by Colin Wright, who teamed precast concrete wall panels with cabinets by Porcelanosa Group in Marengo oak and white lacquer. A bench seat at one end creates a perching spot for family and guests. Left: A long niche in the concrete panelling enhances the kitchen’s sculptural look and provides a handy shelf. The overhead cabinets have lift-up doors. Left: The peninsula element is supported by concealed steel and a fine aluminium frame. The floating effect is further enhanced by a narrow Corian benchtop and negative detailing – there is a solid aluminium strip running right around the cabinetry beneath the benchtop. Keeping the floor clear makes the entire space seem larger. Above left: Citrus lemon accents contrast dark grey walls and concrete surfaces in this kitchen, which is in a new extension to a 60-year-old bungalow. The team from Melanie Craig Design also introduced contemporary lacquer and American oak cabinetry, with cantilevered elements wrapped in bands of 5mm compressed stainless steel. Above: The stainless steel wrapping the cabinetry is reminiscent of giant rubber bands. To enhance the crisp look, the cabinetry has mitred corners. rather than the traditional work triangle,” says Craig. “There are separate zones for food preparation, cooking, cleaning and storage. Everything is right where it is needed, and drawers are customised for cutlery, utensils, oils and spices.” The design team placed the refrigerator near the door in the scullery, where it can be accessed by the family without entering the main kitchen. The scullery itself is large enough to be a separate food prep and cleanup area, making it easy for several people to work. Facing page: Side-by-side ovens are elevated for easy accessibility. They sit within an American oak cabinet that is also wrapped in stainless steel. This provides a resting place for hot dishes. The overhead cabinets have a high-gloss finish and feature Blum Aventos lift doors – all the hardware is also Blum. Above left: The adjoining scullery provides additional bench space and storage, and a second sink and dishwasher. Above: Large sliding doors open up the family room to the outdoors. and a communal area for everyone to gravitate to, we designed the kitchen in an L shape,” she says. “The cooktop sits within an element reminiscent of a chimney breast, a focal point of the design. This steps out from the surrounding cabinets and has soft curves, picking up on the Art Nouveau detailing seen elsewhere in the home. These curves feature are on all the upper cabinetry as well.” The mantelpiece not only draws the eye, it also conceals the rangehood. Most of the other appliances, apart from the wall ovens, are also integrated, to optimise the old-world feel. Preceding pages and above: Open to French doors and views to the garden, this family kitchen by Davinia Sutton merges traditional detailing with modern convenience. Classic Shaker door panels, tongueand-groove finishes and a furniturestyle island all contribute to a sense of permanence. Most cabinetry drawers and the crockery niche are in solid American oak. In contrast, the benchtops are in contemporary engineered stone. Another request from the owners was that the kitchen have a furniture-like appeal. To this end, there are column legs on the island ,and the front and sides are in tongue-and-groove, as are the walls above the splashbacks. Hand-painted Shaker-style doors contribute to the overall effect, along with traditional chrome pulls for the cabinetry handles. The bespoke open crockery storage rack is another feature. It has a solid oak interior, and most linings and drawers are also constructed in solid wood – the owners wanted a kitchen that would last 20 years, says the designer. “They did not want a farmhouse style, but asked for a traditional design with practical modern touches. These include the gleaming engineered stone benchtops, the clean-lined glass pendants over the island, and the wall ovens, which are set to one side. “This kitchen can comfortably accommodate several people at once, with the island used for prepping, eating and homework, and the side counter designated for cleanup and cooking.” The cool, monochromatic colour scheme is balanced by the warmth of the American white oak floors, which match the cabinet interiors. Facing page top: The hob area is the centrepiece of the kitchen, standing proud of adjoining cabinetry and with the look of a traditional hearth. Facing page lower: Sutton designed the kitchen with plenty of room between work areas, so several family members could use it at once. Above left: There is a wealth of storage on the island, with all drawers built in solid oak. This is sink-free, at a request of the owners. Above: The island in this kitchen features ample storage in the form of concealed cabinets and drawers at either end. The creamy painted cabinetry wears a distressed finish that suggests age. Right: Open shelving provides extra storage and gives a prominent place to display pieces of china, adding to the French Country feel. Natural light enhances the finish of the walls and the sheen of the granite benchtops. Matching a kitchen to the architectural style and decor of a house makes good design sense, but it’s equally important to ensure the space is highly functional, with easy connections to adjacent rooms. Before this renovation by kitchen designer Pauline Stockwell and interior designer Heather Thorley, the kitchen was closed off from the casual lounge and formal family room on either side. A large dining table made movement around the kitchen awkward, and the lack of storage and bench space also needed to be addressed, says Stockwell. “For the new design, the homeowners wanted to improve functionality, while retaining the traditional French Provincial theme that was in keeping with the rest of the house. It was also important to open up the space so it could become the social hub of the home. “The kitchen was blocked off from the casual living room by cabinetry and a refrigerator – the ceiling beam shows where it was situated. The cabinetry was removed to improve circulation and make the space more inviting.” In its place, a double-sided shelving unit was installed, adding to the French Country aesthetic and providing extra storage space. A new island also provided more storage and maximised the available bench space. “The owners have two children, and wanted the kitchen to be the heart of the home,” says Stockwell. “Introducing an island means cooking has become a more social activity. And opening the space up has created a gathering place for family and friends.” In keeping with the French Provincial theme, the colour palette is neutral with a few tonal variations for the sake of visual cohesion. The cabinetry was given a distressed, aged look, and is complemented by the decorative finish on the walls, which suggests the colour and texture of old-world plaster. Left: To make use of space, the refrigerator-freezer sits along the back wall and is integrated into the cabinetry. The formal lounge is situated just behind the kitchen. Stockwell devised a layout that flows around a kitchen island, which ties in with the cabinetry and floors. Above: Before the renovation, the casual lounge was blocked off from the kitchen by cabinetry. With this removed, the space connects easily to the adjacent living rooms. Above left: Simple, hand-painted cabinets in dark grey and off-white enhance the traditional Art Deco look of this new kitchen in an older home. Wherever possible, appliances are integrated – a large refrigerator drawer on the side of the island serves as a butler’s pantry. Top and above: The kitchen also features decorative display cabinets with diamond-patterned glass – the motif can also be seen above the range and below the banquette seat. and fluted glass display cabinets with a distinctive diamond pattern. “The cabinets even show slight brush marks, which ensures they can be touched up easily if needed.” Hardcastle says a central island was another request – as well as providing plenty of bench space, this needed to accommodate dining seating and bar stools. The L shape evolved from these requirements. One end of the island forms a bar top, while velvet banquette seating wraps the inside of the L. The exposed peninsula on the island is supported by a square-edged column on a pedestal base. A similar base features on the banquette seating – this is highlighted by a subtle repetition of the diamond motif. integrated or concealed in the scullery. The bank of cabinets on the side wall conceal a large refrigerator and freezer, while the island hides a dishwasher and a large refrigerator drawer. But a traditional black Falcon range takes pride of place in a hearth-style cooking centre. White subway tiles line the splashback and the outside walls of the centre, creating a highly practical surface. Above left: A large black Falcon range is accommodated within a semi-freestanding cooking centre. The scullery can be accessed from either side of this unit â&#x20AC;&#x201C; tiled walls wrap around the corners, providing a practical surface. Above: Rather than introduce modern modular shelving to the scullery, designer Lee Hardcastle create three stand-alone units that appear as furniture inserts within the wall behind the cooking centre. Above: Pendants with fabric shades cast a soft light on the mainly cherry wood Biedermeier-style kitchen created by designer Jennifer Gilmer. Right: The wall-height cabinetry includes several ovens, including his-and-hers microwaves. Above: An integrated refrigerator is set on the outer corner of the kitchen for speedy access. Following pages: Strong lines and shallow door panels give the dark cabinets a more modern sensibility. Glass fronts further lighten the presence of the richly grained wood. Top left: The dining room side of the kitchen includes a writing station. Top right: Benchtops in black granite complement the red cherry. Lower left: The black beading was left off some rear cabinets for variety. Lower right: A sunburst pattern created by piecing together wood strips decorates the hood. The soft curve echoes that of the Palladian window and is also used elsewhere. Hamptons look, but also teams these with all the functionality required by a busy family that loves to entertain. The white cabinetry is detailed, without being over the top â&#x20AC;&#x201C; there are glass display cabinets and decorative mouldings, including corbels, dentil crowns and fluted columns with Federation blocks. Wonderful Kitchens says much of its new business comes from word of mouth, and from clients who appreciate the friendly, professional service from a company that has a proven track record. Above far left and above left: The owners of this new kitchen have a passion for American architecture that is reflected in their decision to choose a custom-designed Hamptons-style kitchen from Wonderful Kitchens. The dining table is an integral part of the island; it features fluted column legs with Federation blocks at the base. Top: Similar white cabinetry surrounds a drinks area on one side of the family room. Above: A large walk-in pantry is hidden behind bifolding doors on the other side of the room. end of the island was also designed to provide a point of difference – you glimpse the kitchen as you walk up the adjoining stairs to the living room, and we didn’t want it to look too functional.” The main kitchen also features two banks of white lacquered cabinetry, which Gliosca framed with the timber laminate. This was extended around the corner to create a matching buffet-style area opposite the lift. The refrigerators are fully integrated, and the drawers have recessed pulls to reinforce the crisp, modern look. Preceding pages, facing page and above: This kitchen in a new house was designed for a family who love to entertain. Managing director Steve Gliosca of Urbane Projects says the island, with its dramatic marble top and sculptural, layered form, is the hero of the kitchen. It is teamed with timber laminate and white lacquered cabinets. Left: Although the kitchen is fully equipped, it does not need to be used to prepare meals, thanks to a large working scullery hidden behind. This includes a 90cm freestanding oven, second sink and dishwasher. It also includes a home office area and provides ample storage for pantry items. Left: A large, rectangular bulkhead mimics the shape of the island beneath, and provides multidirectional lighting for the kitchen. To enhance the floating form of the bulkhead, the uppermost section and front panel are painted in a grey shade that matches the timber laminate. The front and back panels of the island are wrapped in bronze mirrored panels that reflect the light and help to visually lighten the appearance of the island. Above left: This kitchen reinvented by Natalie Du Bois features a variety of elements in different styles from different eras. Above: Stained wood cabinetry offers warmth and a furniture-like sensibility, appropriate to a kitchen open to the living spaces of the home. Shelving on the front of the island furthers this impression, and provides a place for the owners to display objects and store cookbooks. Facing page: A tight work triangle between refrigerator, oven and island makes for easy preparation and cooking – especially with most other functions farmed out to the pantry. Above left: With the same subway tile splashback and similar stainless steel benchtops, the butler’s pantry links with the kitchen in material terms. A dishwasher brings added functionality to the space and helps keep the kitchen clutter free. Above left: White lacquered cabinets are contrasted by walnut veneer in this sleek, contemporary kitchen designed by architect-owner Taras Wolf. This kitchen is an integral part of a large, open-plan living area that can be opened up to the outdoors on all sides. Above: A long peninsula provides ample space for food preparation and serving. At the end of the kitchen a full-height mirrored panel bounces light back into the room. of the kitchen. On a practical level, it is ideal for socialising, providing a large counter for people to sit around. Wolf says he allowed extra depth on the benchtop in front of the sink, so plates can be placed there if required. A lowered bench at one end of the peninsula comprises glass over a coloured panel that can be changed should the family want a different colour accent. lined with walnut, which makes a dramatic contrast to the white cabinets. There is also a butler‘s pantry, and an appliance garage with a tambour door. For ease of use, this can be accessed both from the kitchen and butler‘s pantry. Wolf provided rubbish and recycling bins in the cabinetry – these can be emptied from outside the house. Because the owners follow the Asian custom of removing their shoes indoors, Wolf specified tactile floor surfaces. The living area features wood floorboards while the kitchen has a polished concrete floor. With its large openings to the outdoors, the kitchen also plays a role in ventilating the house â&#x20AC;&#x201C; passive design ensures it is cool in summer and warm in winter. Above left: Created by designer Kim Duffin, this multi-use space benefits from a restrained palette and natural finishes that draw the various areas together. With bifolding doors opened, the indoors and outdoors merge. A glass splashback, vertical herb garden and exterior cladding on the alfresco walls add to the effect. Above: An appliance pantry and a powder room are set behind cabinet panels at the rear of the room. Above: A polished stainless steel plinth supports the table, giving it a floating appearance. Transparent acrylic chairs allow an unobstructed view of the entire tabletop. Above right: A high back on the booth seat screens clutter from diners. Perimeter cabinetry in the alfresco living area is a continuation of the indoor perimeter cabinets, but with an all-weather finish. presence, the island backs onto the booth seat at the head of the dining table. The raised seat back conceals kitchen clutter from diners. “The Caesarstone tabletop is the centrepiece of the kitchen,” says Duffin. “This has a clear acrylic substrate that allows the engineered stone to be side and backlit. LED lighting colours can be matched to any RGB-paint value – the possibilities are almost endless.” As the room is open to a shared driveway, laser-cut aluminium screens bring a degree of privacy. This feature is repeated on the other side the room, by the stairs. Left: Adroit space-planning optimises flow, connections and floor space. The floor-to-ceiling panels feature mechanisms imported from Japan that allow the doors to pop out before sliding to one side. The niche on the rear wall separates the appliance pantry from the powder room, and is home to a handy beverage centre, close to dining and kitchen areas. Recessed handles on the cabinetry accentuate the long, linear design. Modern kitchen design often presents a strong architectural component â&#x20AC;&#x201C; this is especially noticeable in high-end German kitchens, such as the one shown on these pages. The kitchen was designed and manufactured by Leicht Kitchens of Germany, a firm that has won numerous international technical and design awards since it was established in 1928.
slide-out pantry, and Leicht’s Q-Box for Drawers solid oak drawer inserts. For more details, contact Leicht Kitchens of Germany, 76 Penshurst St, Willoughby, NSW 2068, phone (02) 9967 2814. Email: enquiries.leicht@yahoo. com.au. Or visit the websites: www.leichtkitchens.com.au and www.facebook.com/ leichtkitchensaustralia. Or visit www.caesarstone.com.au. Preceding pages and above: This crisp, contemporary kitchen presents the latest advances in design and technology from Europe. The kitchen was designed and manufactured by Leicht Kitchens of Germany, a company that specialises in customised high-end kitchens. Facing page: A mirrored splashback and under-cabinet LED lighting bring a touch of glamour to the main work area on the perimeter benchtop. have been satisfying the most demanding professional chefs and domestic cooks for more than 80 years. The appliances are handcrafted in the USA from extra high-quality materials, and provide precision control, which takes all the guesswork out of cooking. The Wolf built-in ovens feature dual convection heating, with two fans and four heating elements. Facing page and left: Wolf cooking appliances feature in the kitchen. These include the Wolf 762mm-wide double oven with matching warming drawer, Deep Pro rangehood, and dual-stacked gas burners with lowprofile continuous grates. Above: The kitchen is also equipped with Sub-Zero refrigeration, including a matching refrigerator and freezer, two wine refrigerators and eight refrigerator drawers that can be customised to suit. The very best kitchens and bathrooms successfully blend creative design, expert craftsmanship and impeccable products. Weâ&#x20AC;&#x2122;ve selected these outstanding projects from across the country as the Trends Top 30 Australian Kitchens & Bathrooms. where you can see Hettich products in situ. The kitchens are also all entries in the online competition that is part of the “What’s Australia Saying About Hettich?” campaign. The cabinetry in each of the kitchens is fitted with Hettich hardware, ranging from fullextension, soft-close drawer systems, inserts and vertical pantries, to handles and lift doors for overhead cabinets. Innovative Kitchens in South Australia manufactured the kitchen shown on the preceding pages, while the kitchen shown above is by NSW firm Carrera by Design. This kitchen features a large, square island that’s wrapped by a timber table top. Inline Kitchens in ACT created the streamlined kitchen above right, which has a soft grey colour palette. For the contemporary kitchen shown at right, Queensland firm Custom Kitchens Noosa used negative detailing to enhance the crisp, contemporary lines. This kitchen also features reflective stainless steel splashbacks. To contact Hettich, phone 1800 HETTICH (438 8424). 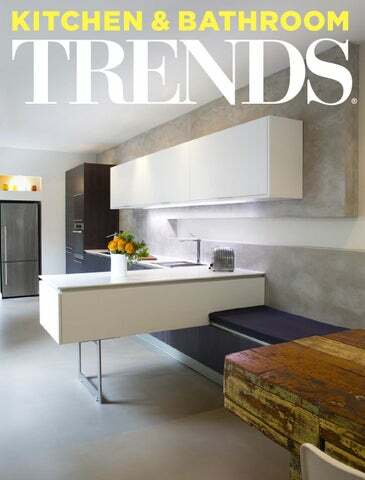 To vote for your favourite kitchen, visit the Hettich Gallery at trendsideas.com/Hettich. Preceding pages: In any kitchen, what lies behind the scenes is just as important as what you see. This kitchen is by Innovative Kitchens in South Australia, which operates a Hettich Endorsed Showroom. These pages: These projects are featured in the “What’s Australia Saying About Hettich?” online campaign. They were designed by (clockwise from top left) Carrera By Design, NSW, Inline Kitchens, ACT, and Custom Kitchens Noosa, Qld. Facing page and above: This new kitchen, designed by Kim Duffin, incorporates a full complement of Smeg cooking appliances. These include a Smeg induction cooktop, a bank of Smeg Classic stainless steel ovens, and a matching built-in Smeg coffee machine. The cylindrical rangehoods are also from Smeg, and are designed to remove steam and odours quickly and quietly. Left: The perimeter benchtop extends out to the barbecue patio. Above left: Fulgor Milano is a new Italian appliance collection that is now available in Australia. Designed to provide a fully co-ordinated kitchen, the range includes a built-in wine cellar, LED TV, steam and combi ovens, and a wide range of cooktops and ovens. Above: Fulgor Milano appliances (from top) include the built-in wine cellar with wood-insert drawer, teppanyaki induction cooktop and 112cm touch-control gas cooktop. Read it thoroughly from cover to cover Read just the sections of interest Skim or look through it cover to cover, but don’t read it Skim or look through just the sections of interest Skim or look through then go back and read it thoroughly Just glance at it Other 4. Do you usually keep your copies of Trends for future reference? 6. What do you find most useful/interesting about this issue of Trends? 1. Which of the following projects, if any, do you plan to undertake in your home (at some stage)? 9. If yes, how often? 2. Over what period of time do you plan to work on your project? 10. Would you like to receive our free newsletter by email? 3. How far in advance do you plan your home projects? 4. Which, if any, of the following have you ever used/do you usually use to help with your home improvements? 11. Do you read any of the following? 5. How would you prefer to buy your copy of Trends? 8. How much do you plan to spend on your home over the next 18 months? 8. 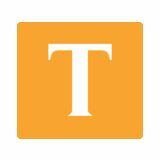 Do you use/visit Trendsideas.com? 3. Which of the following best describes how you usually read an issue of Trends? 2. How long do you spend on average reading an issue of Trends? 6. What is your household income? * The first 100 people to fill out and return this survey. If you are a subscriber we will extend your subscription by one book. Please tick here. Pure convenience The finest ingredients go into our meals, so it pays to optimise their flavour by cooking with filtered water – Brita puts this facility right at your fingertips Pure, filtered water has always been a desirable option for a home chef – whether for drinking, cooking or mixing. However, constantly opening or closing a dispenser can be a drag, especially when it also has to be replenished or replaced frequently. Luckily, now there is a hassle-free way to access pristine water on your benchtop. The three-way Water Filter Dispenser from Brita comes with one lever for Brita filtered water and the other lever for your regular hot and cold tap, bringing access to clear water right at your benchtop. pasta smells and tastes fantastic; and vegetables are bursting with colour and flavour. Filtered water also improves the taste, aroma and crema of coffee,” he says. For more information or your nearest supplier, visit the web: www.brita.com.au save | share Search 42797 at my.trendsideas.com This page: Brita Square Neck and Swan Neck Water Filter Dispensers offer a sleek, modern look. Hardware & General have been helping builders, plumbers, trades and home renovators complete their projects since 1960. Well known for being specialists in their field, Hardware & General’s team of knowledgeable staff can assist you with the design, supply and delivery of your products for your dream home. Hardware & General’s mission is to supply you with the best quality products with the best service at the best price. Hardware & General specialise in all product catagories for building your house from ground up, with luxury finishing touches to fit your budget. Preceding pages: Large sliding doors open up this master suite to an expansive sea view. Another 2m-wide sliding door opens up the bedroom to the bathroom, maximising the views. Above left: Like an eyrie high above the clifftop, the bathroom pops out from the second floor of the house. Windows on three sides surround a built-in tub. Above: The tub is lined with porcelain tiles that mimic the look and texture of wood. All the materials in the bathroom were chosen to provide an harmonious, tranquil bathing environment. and creepers. Much like a traditional Malaysian kampong house, this helps to lower the ambient temperature through evaporation and transpiration, which provides a passive cooling system for the house through cross ventilation.” Lush tropical planting is an integral part of the suite on the top level of the three-storey house – much of the planting is in an area that forms an open courtyard terrace right in the middle of the suite. Here, Leong has positioned a luxurious Jacuzzi that is open to the elements. Slatted timber screens at the side and overhead provide shade, privacy and support for vines. Facing page: The master suite on the top level of this house opens to a landscaped terrace complete with a Jacuzzi with its own sheer descent water feature. A timber screen shields the terrace from view, and supports much of the greenery. Above: Entire glass walls in the master bedroom can be opened so the bedroom is at one with the outdoors. Designed as a retreat, the bedroom has its own seating area and a television. Above right: Glass walls allow a view right through the suite, from end to end. The toilet room is positioned near the middle, close to the shower. Facing page: A freestanding, doublesided vanity unit appears suspended within the bathroom. A large ceiling fan helps with the cross ventilation, which is one of the key ways the home is cooled. The house also has an atrium that acts as a thermal chimney, removing warm air out through the top of the building. Well connected This airy master bathroom offers visual and material connections to its pristine alpine setting Above: Clean lines and a simple material palette feature in this master bathroom by architect Gary Todd. With two entries, a double vanity and double shower, the room easily accommodates both owners. A glass shower enclosure and cantilevered vanity enhance the sense of spaciousness. A serene space that invites one to linger and contemplate is the design objective of many bathrooms. But when the project is in an alpine setting, with only a wall of double glazing between the bather and the wild outdoors, the results can be dramatic, as well. This contemporary master bathroom forms part of a house nestled at the base of the Wakatipu Basin and overlooking the Shotover River. The bold, modernist design is the work of architect Gary Todd, builder Glen Cayless and the owners, who led the vision. The landscaping beyond the windows is by Joe Nutting. white pebbles outside. As the bathroom is set in a quiet rear corner of the home, privacy wasn’t an issue here. Even the curvaceous tub looks as though it might have been hewn from the mountainside.” To avoid detracting from the outlook, the bathroom has a minimalist aesthetic, with invisible latches on the vanity and glass walls on the two-person shower enclosure. The understated, sculptural tub filler echoes the lines of the bath. The glass walls also work to enhance the sense of spaciousness, as does cantilevering the his-and-hers vanity, says Todd. “There are two ways to reach this bathroom from the bedroom, skirting the sides of a dressing room between the spaces. This arrangement also offers the advantage of an acoustic buffer.” Concealed lighting under the double vanity, together with LED star lights over the bath, offer subtle night-time illumination. Automatic roller blinds can be lowered to mitigate alpine glare during the day. In-floor heating with full insulation to the floor, walls and ceiling, plus cross ventilation, ensures the bathroom is comfortable in both the heat of summer and the chill of snow in winter. Above left: Part of the landscape – natural stone surfaces and the soft lines of the bathtub connect the bathroom to the landscaping, which over time will assimilate the home still further into the terrain. The window wall is double glazed to counter weather extremes in the scenic mountain region. Preceding pages: With a nudge of sliding doors, this award-winning master suite opens up to a rugged rock face at the rear of the home. Above: The rock face is reflected in two mirrored blade walls that separate the bathing area from the master bedroom behind. Drawers in the custom headboard on the bed provide additional storage for linen and towels. When an architecturally designed home in a prime coastal location is cantilevered off a cliff, the design will naturally make the most of the dramatic sea views. However, there’s another way to appreciate nature in such a setting. This master suite forms part of a modern home with 270° outlooks of beach and city. The house has two levels on the cliff top, and four that hug the rock face below. Designers Darren Genner and Simona Castagna were asked to create a master suite that would take in the beauty of the stone face behind, as well as the beach views on the other side. “The suite had to defy convention, offer total privacy and be in keeping with the home’s high-end architecture,” says Genner. “There had to be a freestanding bath, a large shower, his-and-hers vanities and a spacious wardrobe.” The designers devised an open floor plan, rather than separate rooms, avoiding the need for internal dividing walls that would obstruct the views. Sliding doors were introduced on the bathroom side of the suite, which can be left open during warmer months, providing valuable cross ventilation and a more intimate connection to the rugged rock formations. appears to bisect them. Each blade wall is mirrored on both sides to reflect the views from any point in the room. The blades also partition the bathing space from the sleeping and dressing areas in front, without obstructing sightlines. Set next to them, the smooth oval bath contrasts the craggy rocks on the cliff face. Finishes are consistent with those in the rest of the home. The floor is in large-format basalt tiles, walls are clad in a Bisazza crocodile print, and the balance is smooth, cool Corian. Veneers tone with the nearby sandy beaches. Above: Tall panels conceal expansive wardrobes, set on either side of a Hollywood-style vanity area with glamorous make-up lighting and dedicated storage for jewellery. More storage is concealed within the blade walls in the centre of the space. All task lighting can be separately controlled through the smart home automation system. Left: A playful crocodile-finish tile covers three sides of the structural piers that define the bidet and toilet cubicle, and expansive shower. A glass door slides across for privacy. High-end fittings feature throughout. Above: The blade walls that bisect the room are mirrored on both sides, reflecting rock and ocean views. Earthy and neutral, the tonal palette connects with the master suiteâ&#x20AC;&#x2122;s highly tactile solid stone backdrop. of the house, which has been extensively renovated. â&#x20AC;&#x153;The house is modern, with a classical contemporary look, and we wanted the bathrooms to make a similar design statement. It was particularly important to maximise the space and ensure the rooms would not be too cluttered.â&#x20AC;? To provide continuity, both rooms feature an Ocean Blue travertine marble vanity. Facing page: This master bathroom was transformed by designer Celia Visser, who rearranged the layout and introduced a cantilevered vanity with an Ocean Blue travertine marble top. An integrated basin helps to keep the look contemporary and streamlined. Above: The designer specified a glass door with privacy film. This helps to lighten the suite, which includes a dressing area between the bathroom and bedroom. in the bathrooms, which helps maintain a spacious look. “Similarly, cantilevering the cabinetry makes the floor area larger.” The two bathrooms are not identical, however. Black tapware and accessories were specified for the master bathroom to provide a point of difference. And the guest bathroom incorporates a freestanding Nova bathtub. in both rooms, with the guest bathroom incorporating mirrored medicine cabinets that run the length of the room. LED lighting above and below the cabinets washes the walls, creating a floating effect. The master bathroom has decorative sconces mounted on the large mirror above the vanity. A glass door and new skylight also ensure plenty of natural light floods the room. Facing page: Ocean Blue travertine marble also features in the remodelled guest bathroom. Despite its small size, this room boasts a freestanding bathtub and separate shower area. This page: The fully tiled shower incorporates contemporary tapware, and has a niche for soaps and shampoos. Once a utilitarian space, now a luxurious, private retreat, the bathroom has finally come of age. Luckily inspired design solutions are, keeping pace. A creative synergy between one of Australiaâ&#x20AC;&#x2122;s foremost designers and a leading bathroom brand has resulted in the Caroma Marc Newson Collection, says Caroma research and development manager Steve Cummings. Above far left: A pleasure to look at as well as to use, the new Caroma Marc Newson Collection includes 21 pieces by the celebrated designer. Above left and right: The range includes a sleek Shower System with overhead and hand shower, and stream-lined, freestanding bath filler. Top: The Caroma Marc Newson 1700 Freestanding Bath is created in Cristaplant, a contemporary matt stone finish. Just as a homeowner has a say in the design of their house, so children enjoy having an input into the design of their bedroom suite. This suite belongs to a child who came up with the idea of a rainbow theme. This was the brief given to designer Royston Wilson, who was responsible for the interior design of the whole house, which has a French Chateau style. Preceding pages and facing page: Colourful Bisazza mosiac tiles create a brilliant rainbow in this child’s bathroom, designed by Royston Wilson. To make space for the bathtub – a late addition – the room was pushed out towards the balcony and a new exterior wall built. Above: The cantilevered vanity has a Mountain Bluebird Staron top that complements the blue in the tiles and the dark blue ceiling that resembles the sky above. Lovely. Further embellishment is provided by diamante-style handles that catch the light. “We introduced an unusual glossy white tile to the vanity wall for added pizzazz,” says Wilson. “The tile has a textural wave pattern that is highlighted by LED lighting around the vanity mirror. The designer says the pink elements can be changed out easily if required in the future. Facing page: Everything in this girl’s bathroom is either pink or white. The distinctive vanity features a white quartz top and pink heart-embossed drawer fronts with diamante handles. Fuchsia pink metallic paint was used on the ceiling. The D-shaped bath is semi freestanding, with one side fixed to the wall for ease of cleaning. Above: Pink also features in the collar around the handbasin, the toilet seat, tap and shower mixer. Left: Graphic pop art, decorative pelmets and a plush, soft pink sectional sofa are key features of the bedroom. Here, the colour pink has been kept a little more muted, with colours brought in through accessories, such as cushions, lamps and picture frames. Designed and engineered in Australia specifically to suit the Australian lifestyle, Dorfâ&#x20AC;&#x2122;s new Epic range encapsulates modern design trends. Every aspect of the Epic range has been carefully considered from the consistent subtle curves, advanced engineering and the quick and secure installation system. The Dorf Epic range is the perfect balance between form and function. Boiling | Chilled | Sparkling | Filtered | Instantly The worldâ&#x20AC;&#x2122;s most advanced drinking water appliance. Traditional Kitchens, Heart or the Home, Colour & Materials, Cabinetry, Appliances, Bathroom Trends.